Our brother Zakk Wylde leaves the thrown at Gibson to start as KING of his very own guitar and amp company reaching out to guitar builders in his circles, recruiting only the best i’m sure! More on this as we get the scoop! Johnny Winter inspired me to pick up and try to play slide guitar a long time ago, then years later Derek Trucks re-ignited my passion for it. This is my 1994 Gibson Les Paul Custom that I purchased brand new, but one year old, in 1995. It was signed by Warren Haynes not long after I bought it, then the Master Slide Legend Johnny Winter a few years later!! I ‘m stringing it as I usually do – with size 10-46 Strings. I’m not too partial to one brand or the other at the moment, as I see great qualities in a few brands and go back and forth depending on the tone I’m shooting for, or the mood I’m in. GHS, Dunlop, Ernie Ball and DR are my go to favorites. I tune it Standard Low to High EADGBe and sometimes Drop D for slide or finger playing. Overall for feel and tone, I prefer using glass over metal slides – when I do want the CRISPY SHIVERS of metal on metal sliding, I prefer Brass to chrome. 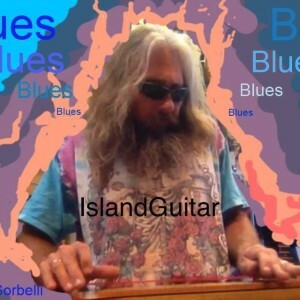 Wayne Sorbelli here at Island Guitar shop Key West, demonstrating electric 6-string lap guitar Handmade in USA. 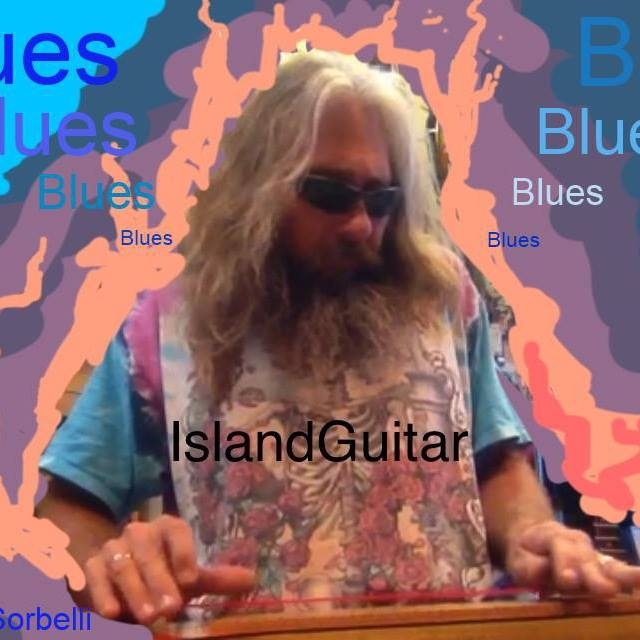 Wayne Sorbelli here at my Island Guitar shop in Key West, demonstrating my x-mas 2014 gift – an electric lap 6-string lap guitar Handmade in USA.